This entry was posted in Aging, Children, church, Family, Grandparents, Humor, laugh, Laughter, Mother, Older, Parents, South, Southern, Southern Living and tagged church, God, Grandmother, sunday. Bookmark the permalink. This may be your best one yet!!! 🙂 absolutely LOVED it!! Love your humor. I will never look at the aisle of my church the same way again!! Thank you for brightening my day! Thank you Mary Sue! I’m sure my mother didn’t look at that aisle the same way again, either. haha! I must not have been there the day you did your somersaults, because I’m sure I would remember:) But, I know i have some pictures like the one you have included of you and Cathy. Such cutie pies! Love you cousin. Wonderful blog entry. You’ve done it again! I wish white glove for church would come back in style. 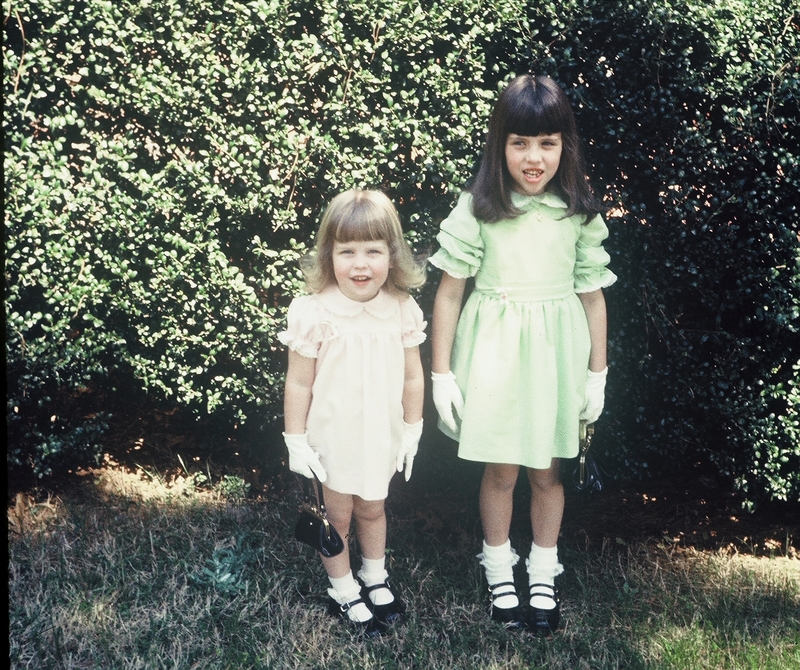 I still remember my Mom dressing us all (4 girls) in our Sunday dresses and gloves. Then the worst part – she’d about pull all my hair out while pulling it into two perfect ponytails on each side of my head. UGH…. Me too, Victoria! I also remember my grandfather wearing a hat and suit to church every Sunday. NO ONE would have ever considered wearing jeans to church! !